Moana Skincare is formulated in a totally unconventional way! Traditionally, skincare is made by developing an emollient base cream and then adding active ingredients into each individual product. 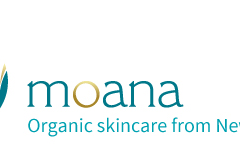 Moana Organic Skincare have turned this process upside down by creating a base cream that is rich in bio-active goodness, a powerful elixir we have named Glycoplus, and then we have added rich botanical oils and extracts from New Zealand’s rainforest into our products.